When ID.me first approached us, we were excited to help them expand the reach and breadth of their brand via an expansive online shopping and cash back rewards website. ID.me started as an identity verification company that enabled users to access military-specific online discounts by authenticating their personal information, but they were growing quickly and needed a new web platform that would allow them to aquire more members and secure a following of regular, returning users. The project started as a UX/design/FED-handoff, but as we delved into the depths of UX, ID.me approached us about working with them on the development of the app as well—a large-scale project that we jumped at the chance to tackle. Months of hard work from the team produced a robust web application that not only allows users to find offers that are relevant to them, but also motivates them to continue shopping through ID.me by gamifying the cash back rewards experience. 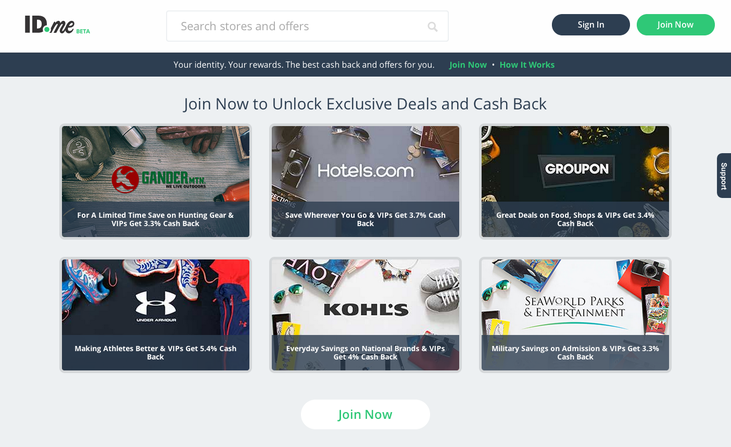 ID.me specializes in facilitating access to group-exclusive deals and rewards (for members of the military, students, first responders, and teachers), but the new site also features thousands of offers that any user can redeem. We focused on finding the balance between making the site inviting and usable for users who don’t necessarily belong to a group, while still allowing group members to easily find and browse group-exclusive offers. 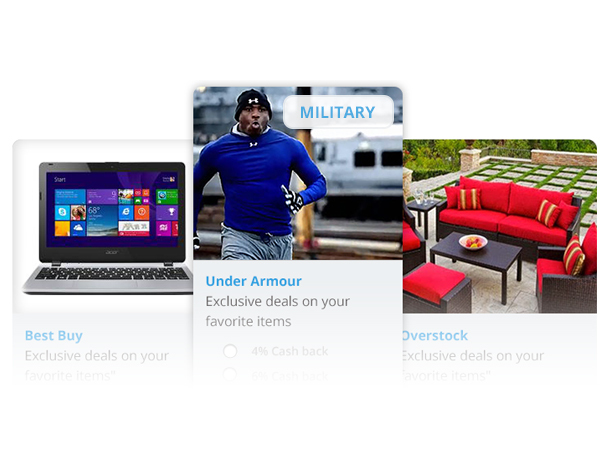 The new ID.me site also enables users to take control over their cash back rewards by turning shopping into a game. 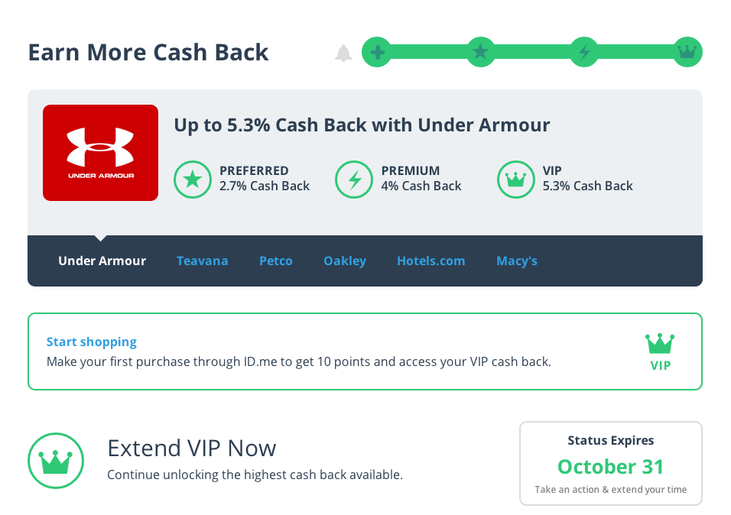 We created a “cash back dashboard” where users can earn higher levels of cash back on their purchases by personalizing their account, shopping through ID.me, and sharing ID.me with friends. We enjoyed partnering with ID.me to create a destination website where users can easily find offers that are relevant to them and maximize their rewards by increasing their cash back level. Intrigued? Read more in our full case study and check out the new site here. What types of educational backgrounds do Vigets have?